Choose between the 18 x 60, 18 x 72, or 18 x 96 depending on your needs. 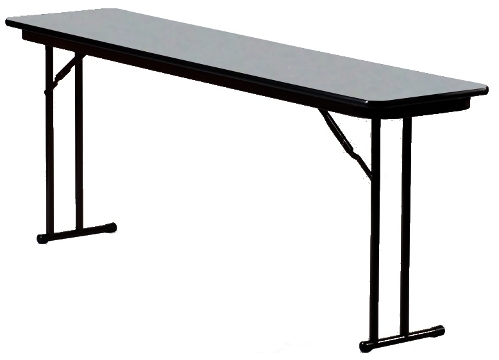 This laminate top seminar table is perfect for the office & classroom setting. The Off-Set leg maximizes leg room. The comfort-ability of the legs will leave your guest/students to do what they are there to do, learn.